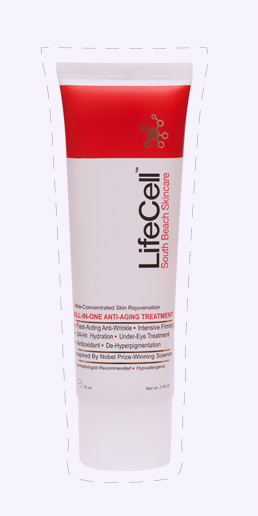 What Ingredients Are In LifeCell Anti-Aging Cream? Our LifeCell all-in-one anti-aging cream is stock full of goodies when it comes to ingredients. We made sure to select not only the highest quality ingredients but the most diverse and effective in anti-aging. Our formula is considered an all-in-one product which means that you can replace multiple products in your beauty cupboard. A key ingredient that can assist in replicating similar results of retinol. DERMAXYL, a new ingredient based on peptide technology helps combat the signs of aging and appearance of wrinkles. Dermaxyl smoothes out the appearance of deep wrinkles and fine lines by producing results similar to retinoic acid and retinol without the irritation these products and alpha hydroxy (fruit/glycolic) acid-based formulations often cause. There are short-term anti-wrinkle products, and long-term ones. 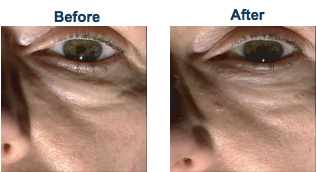 Matrixyl 300 uses a long-term approach to give your skin a more youthful, wrinkle-free appearance. Matrixyl 3000 is another key ingredient. It’s a peptide that is specifically used to give the appearance of collagen synthesis and thus improves the look of your skin. 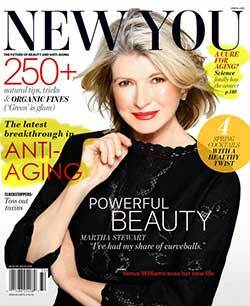 In early 2013 University of Reading researchers found that Matrixyl makes your skin appear to be more youthful, supple and elastic. An essential key component of connective tissue. Nicknamed “Nature’s Moisturizer” for its ability to moisturize skin, this ingredient will allow skin to maintain just the right amount of hydration without causing oiliness. Hyaluronic acid will also plump the skin to smooth and almost erase wrinkles. Ubiquinone which most scientists claim clearly out-shines all other antioxidants available today. It boosts our body’s ability to produce collagen, elastin and other important skin molecules, helping our skin look young, healthy and wrinkle-free. DMAE is the ONLY ingredient clinically proven to not only smooth out the appearance of wrinkles and fine lines, but also replenishes moisture in the skin to give it a firm look.Studies have concluded that DMAE can make the skin on the cheeks and neck appear tighter and smoother. Retinol is pure Vitamin A and the #1 dermatologist recommended wrinkle-fighting ingredient. It is used to renew and rejuvenate skin cells to give the skin a smoother and younger looking appearance. Its primary function is to promote collagen synthesis. Heightened collagen levels will result in healthier, firmer, more youthful skin. Vitamin C in LifeCell will also keep skin protected from free radical danger, slowing the age-process even more. Tiredness, hypertension or the intake of certain medicines, in addition to the natural effects of aging, contribute to the formation of bags under the eyes. A main ingredient found in LifeCell, EYELISS™ helps to prevent and fight bags under eyes as well as smoothing the appearance of fine lines by firming and toning the skin.